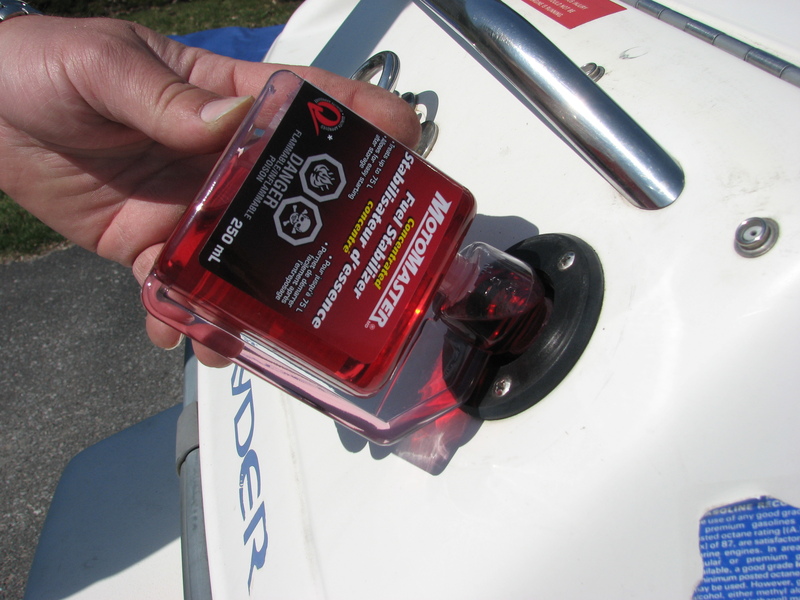 If a boat is stored under cover for the winter, it will remain cleaner and be less exposed to the weather. It should not be sealed up tight but should be well ventilated to prevent mildew and rot. Small boats that are stored outside should be turned upside down so they do not fill with snow or rain and should be raised off the ground on blocks to allow for drainage. • No oil leaks found after oil and filter changed. • Fresh-water cooling system: antifreeze coolant solution checked. • Fresh-water cooling system: petcocks free of sediment. • Fuel conditioner-stabilizer added to fuel tank and fuel tank filled with fuel. • Fuel filters and sediment bowls cleaned and/or elements changed. • Carburetor filled with mixture of 50 percent fuel conditioner and 50 percent fuel. • Engine fogged through carburetor with rust-preventive oil. • Raw-water cooling system flushed out with fresh water.